Hard Money Loans are available for Independent Living Facilities. As the population ages, these facilities become an excellent investment… You have considered seeking a hard money loan to build an addition because you still have a hefty mortgage on the present property. Perhaps another independent living facility has come up for sale. You want to act quickly because there has been interest in the other facility from local investors. You have been observing this property with the hope of acquiring it; you know its potential. At present you realize that you have exhausted your conventional sources of credit; your customary lenders are wary of this kind of business, saying that the cost of continually upgrading equipment at escalating prices, and more expensive salar, benefits and liability insurance will cut into profits. You are a good candidate for a hard money loan. You’ll need to find a private investor, mortgage company or bank that deals in hard money financing to help finance the purchase of the independent living facility, or if that transaction falls through, add to your present property. If you deal with a broker, be prepared to pay “points”: an up front percentage that probably will start somewhere around 3%. Your collateral will be the independent living facility or the addition itself. The lender may ask you to put up other assets to consummate the deal. The lender will probably finance a percentage of the price— usually 65% to 75% (Loan to Value Ratio).Since the facility or the addition to your present property will produce income, your loan will be based on the value of the property plus its income producing potential. Your interest rate may run anywhere from 8% up, and may initially be fixed, but later become variable. Your experience in the independent living business will be a plus. Be prepared to give the lender the following in addition to color photos. 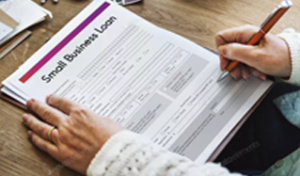 Disclaimer: The hard money loan calculators found on this website are offered only to estimate monthly loan payments of hard money Independent Living Facilities loans. No guarantee is offered or implied as to their accuracy. Hard money Independent Living Facilities loans are non conforming, they do not conform to the underwriting guidelines of Fannie Mae or Freddie Mac. Each private equity hard money lender has their own fee structures which may include points at closing and early prepayment penalties. Discuss all of the details of your particular hard money Independent Living Facilities loan including all costs and fees with your selected hard money lender.